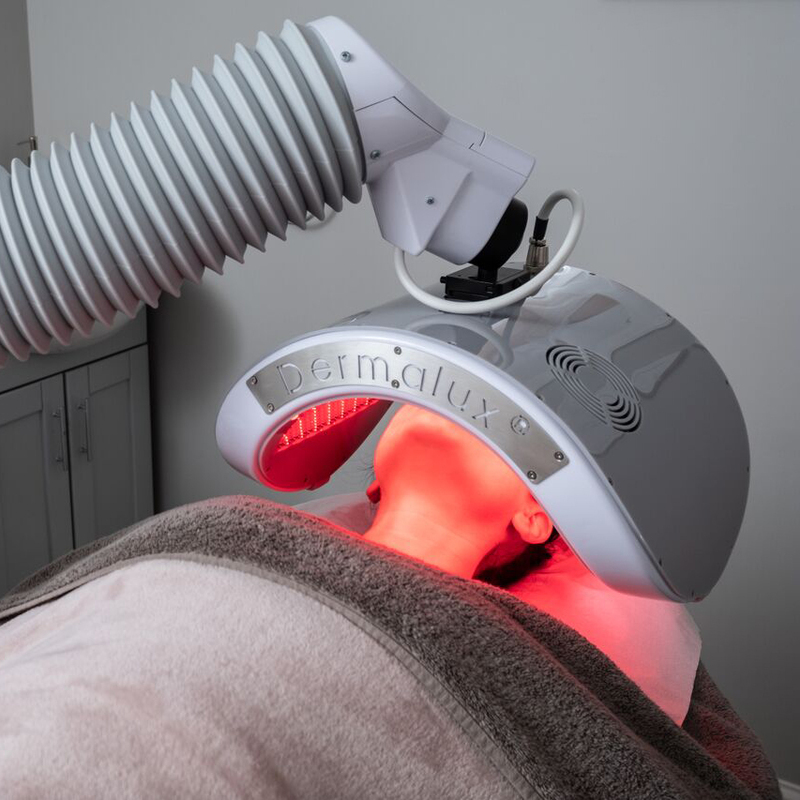 LED Dermalux delivers skin specific combinations of clinically proven blue, red and near Infrared wavelengths to boost collagen and elastin production, improve circulation, reduce redness and irritation and destroy blemish causing bacteria. 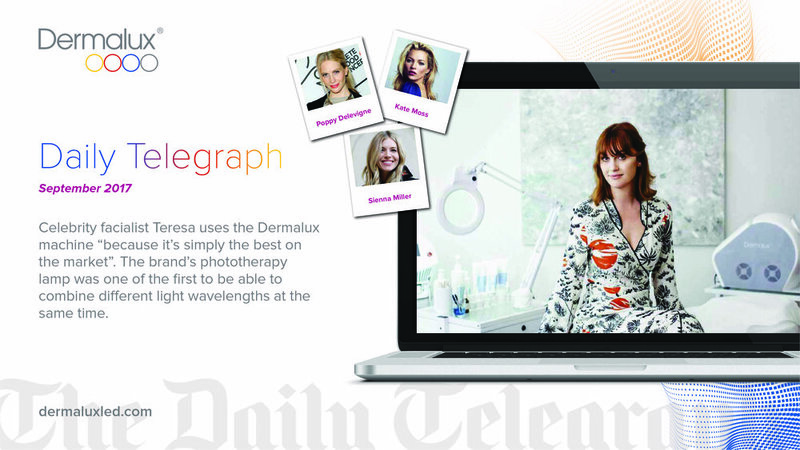 After just one treatment LED Dermalux instantly revitalises the complexion to restore luminosity. 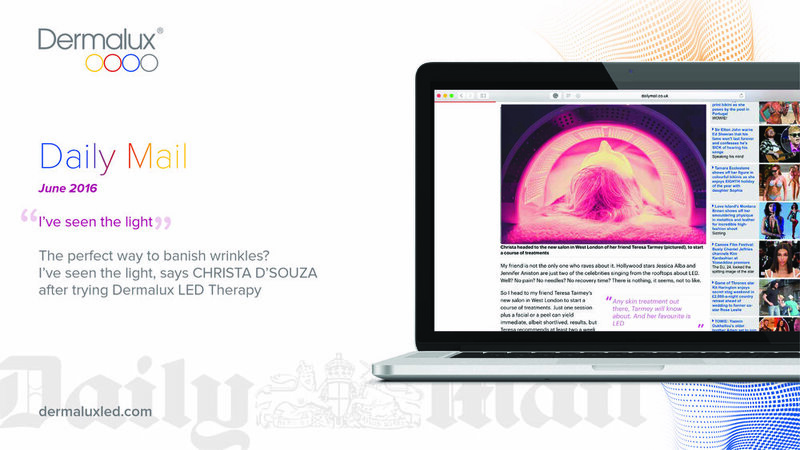 The LED Dermalux treatment is a relaxing, pain free experience with proven mood enhancing effects. Enjoy some luxury me-time as your skin absorbs the energising light to kick start cell regeneration and restores radiance. LED Dermalux is also used in combination with your regular skin treatments to upgrade and accelerate results and as part of your essential skin health programme. Dermalux can be added onto other treatments to aid in the healing process as well as improving the results of the other treatments. *Our free skin consultation includes skin history; what you’re using and you’re lifestyle. We create a plan for your skin for at home products and treatments that would suit your skin concerns. Dermalux L.E.D treatment includes a cleanse, exfoliation extractions then the Dermalux followed by serums and peptides. This treatment has 3 lights which can be tailored to what your skin needs. Red light is for anti-aging, hydration. The blue light is anti bacterial. White is anti inflammatory. A great pre event facial. A great way to improve the results of treatments like micro-needling and ipl between treatments, or to get a great glow or kill acne. Come in with cleansed skin pop under the Dermalux for 20 minutes then serums and spf and off you glow.